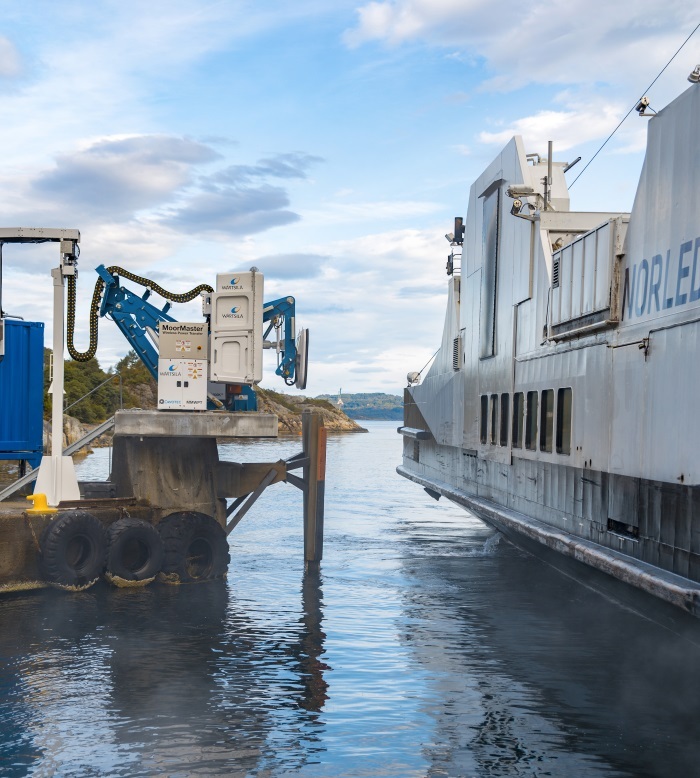 Wärtsilä’s wireless charging system is the first in the world to operate successfully with a coastal ferry. At a recent event at the Hamburg offices of MAN Diesel & Turbo, Dr Uwe Lauber – CEO of MAN Diesel & Turbo – presented Gerd Wessels, Managing Owner of Wessels Reederei with a take-over certificate marking the formal conclusion of the ‘Wes Amelie’ LNG conversion project. The project involved the retrofitting of the 1,036-teu feeder container ship’s MAN 8L48/60B main engine to a multi-fuel, four-stroke MAN 51/60DF unit that enables dual-fuel operation – the first such conversion of its type the world has ever seen. Works were carried out at German Dry Docks in Bremerhaven in cooperation with gas-specialist, TGE Marine Engineering, who provided tank and LNG components. Bureau Veritas, the international classification society based in France, classed the conversion. Wessels and MAN Diesel & Turbo originally signed the retrofit contract at the Europort exhibition for maritime technology in November 2015. The ‘Wes Amelie’ was constructed in 2011 and has already re-entered service on its usual route between the North and Baltic Seas. A huge viaduct going through the Manawatu Gorge is one of 13 proposals to open up the choked transit way once and for all. The gorge has been blocked by several slips over the years and was closed indefinitely after a huge landslide in April proved too dangerous to fix. The gorge carries State Highway 3 and is a vital link between the eastern and western sides of the North Island. Its closure has forced heavy trucks and other traffic into huge detours or over narrow country lanes unfit for heavy vehicles. If built, the viaduct would have something in common with the Otira viaduct, which opened up the frequently shut-down Arthur’s Pass route to all-weather transit. Along with the viaduct option, there are two proposals involving tunnels. One tunnel would be 10.5 kilometres long and be slightly to the south of the gorge. Another option would incorporate part of the existing gorge road, at the eastern end, and need a shorter tunnel, just 6km long. Another dramatic option would be a straight road dug deep into a cutting running to the south of the gorge. Other alternatives involve roads running though the hills to the north or to the south of the gorge. To the south, there is a new 17km route, from Napier Road on State Highway 3 to SH2 near Woodville. Three other routes go over the hills from one side of the divide to the other in the same area. They are all near the existing Pahiatua Track. Three other options involve connections built near the current Ashhurst Saddle Road, which is to the north of the existing highway through the gorge. The last option would to upgrade the Saddle Road itself. New Zealand Transport Agency regional transport systems manager Ross I’Anson said these options would now be presented to the people in the region. “This is an important step towards finding the best performing option for an alternative route from the Manawatu to Hawke’s Bay, with the gorge route out of action because of slips and ongoing movement,” Mr l’Anson said. “We know how keen people have been to see these options, and we’ve worked hard with our local partners to get to this point as quickly as possible. Mr I’Anson said once people had made their views known on the long list and further analysis had been completed, a short list of options would be produced by October along with cost estimates. The final choice would be decided by December. Maritime activity over the next decade will be dominated by unmanned surface and underwater vessels, according to a report on the future of autonomous maritime systems launched today. Written and researched by Lloyd’s Register, QinetiQ and the University of Southampton, the report is a follow-up to Global Marine Technology Trends 2030, looking at how technology trends will impact upon the regulatory and social aspects of maritime operations. Shakespeare Bay, pictured, is being mooted as the most likely location for a new floating dry dock. 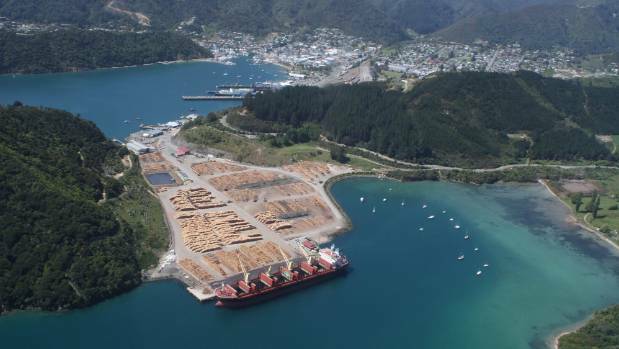 A proposal to build New Zealand’s largest dry dock in Picton could create hundreds of jobs and provide a “massive benefit” for shipping in the country. Port Marlborough is investigating the feasibility of establishing a floating dry dock in Shakespeare Bay, a deepwater port beside Picton Harbour. 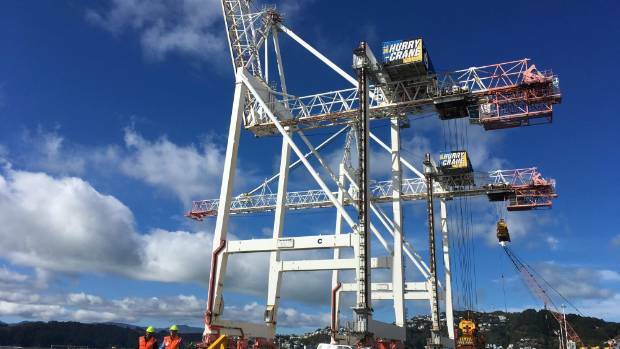 The need for a new facility has been highlighted by the NZ Shipping Federation, whose director says “my guys would like it today, it couldn’t happen soon enough”. The largest current dry dock, part of the Devonport Naval Base, in Auckland, was the biggest in the Southern Hemisphere when it was built in 1888 but is now too small to service many ships operating in New Zealand waters. All five Cook Strait ferries, other large commercial boats and the HMNZS Canterbury have to go to navy dry docks in Sydney, or further afield to Singapore, for regular maintenance and repairs. Shakespeare Bay is already used by the logging industry. However, because the Australian dry dock was a navy operation New Zealand operators could struggle to secure a booking as preference was given to navy ships. Shipping federation executive director Annabel Young said the fuel cost for the month-long return journey to Singapore was about $500,000. “Every time you put a vessel into a dry dock you’re looking at millions of dollars of expenditure,” she said. Installing a floating dry dock in Shakespeare Bay could potentially create hundreds of jobs in Picton. 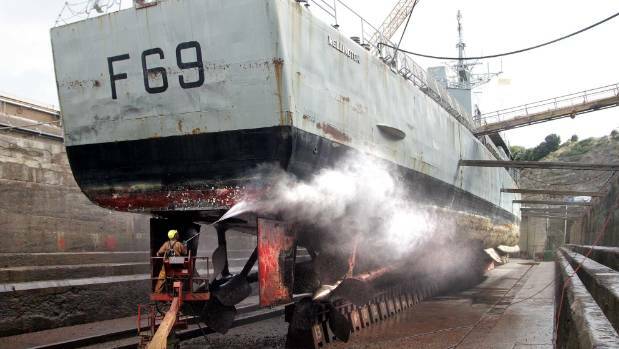 A Defence Force spokesman said the annual cost of using overseas dry docks was commercially sensitive, but noted transit time was a significant additional cost. Future ships including the recently-commissioned HMNZS Aotearoa would be too large to be serviced at Devonport, so the Defence Force agreed a new dry dock was needed. The spokesman said it had partnered with Port Marlborough and the shipping federation to determine the feasibility of a facility at Shakespeare Bay capable of docking ships heavier than 10,000 tonnes and longer than 200 metres. The Devonport dry dock, built in 1888, can take ships up to 170m in length and 22.5m wide. “I think it’s got to the point of critical mass where people can see there’s a really good business case for a dry dock to be set up,” Young said. The creation of a floating dry dock near Picton would be “absolutely huge” for the local economy but “how many hundreds of jobs it would create, I don’t know”, she said. 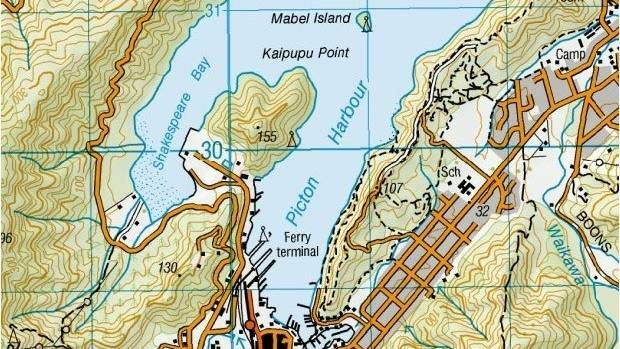 What will happen to the boat moorings in Shakespeare Bay? 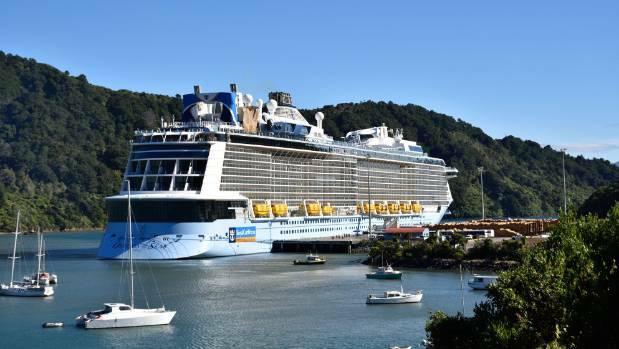 A large floating dry dock in New Zealand would save operators money, reduce carbon emissions, allow for urgent repairs and minimise the time ships, such as the ferries, were out of action, she said. Young said it would also be used for in-water inspections and cleaning, and stop the need for the Ministry for Primary Industries to turn large ships away if their hulls required cleaning. She said, ideally, the dry dock would cater for ships up to 240 metres long, adding it would be possible to secure a secondhand floating dry dock for between $60 to $80 million. The Ovation of the Seas in Shakespeare Bay in January. Kaikōura MP Stuart Smith said he had been working with the port, the federation and the current and former Minister of Defence over the past two years to advocate for the project. “The earthquake has highlighted the value of coastal shipping and the blue highway, and a vital part of that is making sure our ships are serviced here,” he said. Smith said a floating dry dock in Shakespeare Bay made strategic sense, as it was located in the middle of the country and at one end of the Cook Strait ferry route. “Are we there yet? No. But I think it’s got to the point where the business case is so strong and the strategic case is so strong that it will happen,” Smith said. 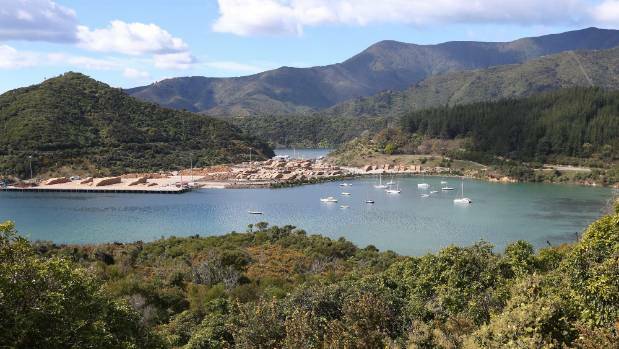 The Kaikōura MP also pointed to the economic opportunities a dry dock would create for Marlborough, estimating it would create more than 100 jobs, with more in associated service industries. “It would have a massive benefit for New Zealand, from a strategic and an economic point of view, and at a provincial or local level the economic benefits would be massive,” he said. 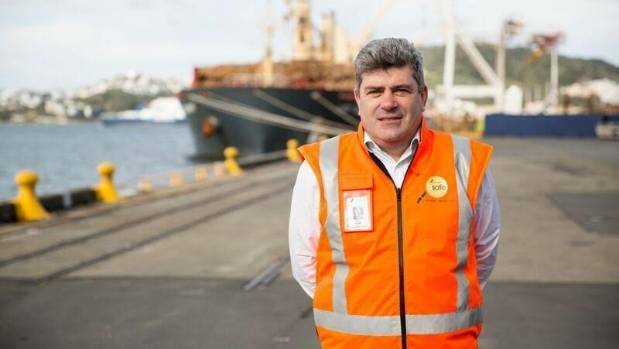 A KiwiRail spokesman said the most recent dry docking of an Interislander ferry was in April, when the Kaitaki was sent to Sydney for two-yearly maintenance. However, the Aratere was sent to Singapore last year, causing the ferry to be out of action for two months due to travel time and time spent in the dry dock. “Naturally we would like to see a dry dock in New Zealand,” the spokesman said. 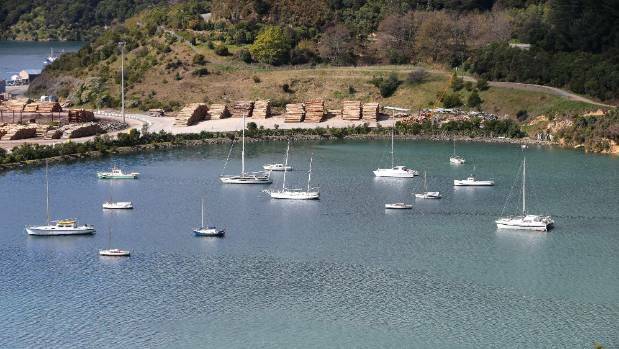 Port Marlborough chief executive Ian McNabb said the port had been looking at the option of establishing a floating dry dock in Shakespeare Bay for “quite some time”. “We’ve looked at it for all sorts of reasons, and we’re currently working with a couple of companies in relation to looking at the feasibility of the project,” he said. Shakespeare Bay was the best option for a floating dry dock because of its central location, and natural depth which meant less, or no dredging would be required, he said. McNabb said it would have enormous benefits for New Zealand and for Marlborough, in terms of job creation and the ability to conduct more frequent maintenance. “From a regional point of view there’s all the flow-on effects of having a major industrial facility based in New Zealand and not overseas,” he said. Coastal shipping and rail have less potential in the drive to reduce carbon emissions from the transport sector than the optimistic view expressed in a Productivity Commission issues paper on decarbonising the New Zealand economy, says the Ministry of Transport in a submission to the commission’s inquiry. “We concur with your assessment that electric vehicles (EVs) are by the far greatest emissions abatement opportunity New Zealand has to lower transport emissions,” says the two-page response to the issues paper sent on September 4 by Joanna Pohau, the ministry’s acting manager, people and environment. However, the ministry is less optimistic about the potential for coastal shipping and rail to move freight out of road-based trucking, mainly because so much of New Zealand’s freight ‘task’ involves sending goods over short distances and because customers have come to expect ‘just-in-time’ deliveries that ships and trains struggle to fulfil. 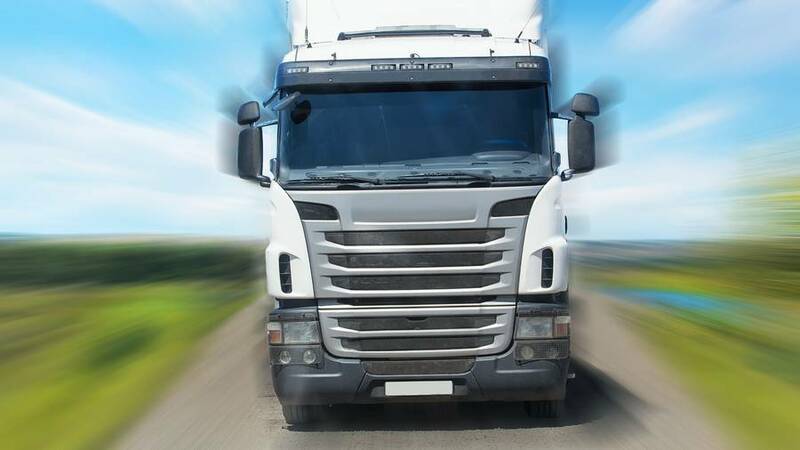 The ministry expects that lower emissions from long-haul freight operations will emerge from a combination of some cargoes shifting to shipping and rail, greater collaboration among cargo owners, more fuel efficient trucks, increased use of bio-fuels and, ultimately, “adopting new fuel and vehicle technologies as they arise”. This could include electric heavy long-haul trucks “if they become available”. The submission coincides with the announcement of an EV car-sharing scheme in Christchurch that its backers claim is the largest in the Southern hemisphere. From late November, some 70 of an eventual fleet of 100 EVs will be available for Canterbury businesses and residents through fleet management company Yoogo, which has been selected by Christchurch City Council to implement the services. The company’s “electric car sharing model breaks down barriers around cost and charging infrastructure, making pure electric vehicles accessible and affordable,” Kirsten Corson, Yoogo general manager, said in a statement. The service will be available for the CCC, Ara Institute, engineering firms Aurecon and Beca, the Canterbury District Health Board, law firm Chapman Tripp, Environment Canterbury, Meridian Energy, architects Tonkin and Taylor, and Warren and Mahoney, and, Christchurch Airport, as well as for the general public. In its submission, MoT agrees with the Productivity Commission’s suggestion that “current policy settings may need to be revisited if we are to achieve a widespread uptake of EVs” and endorses setting fuel efficiency standards as one route to achieve that. Transport Minister Simon Bridges announced late last month that the government was setting a target of one-in-three of the government’s car fleet being EVs by 2021. One of the more intriguing aspects of the general election campaign is New Zealand First’s policy “to move all container operations from Ports of Auckland to Northport by the end of 2027”. According to NZ First leader Winston Peters, “the days of the Ports of Auckland as a container port and as a car yard are numbered”. He went on to say that “New Zealand First will bring forward legislation to move all operations from Auckland to Northport. This will start with vehicles on Captain Cook Wharf ahead of the America’s Cup. Aucklanders want their harbour back while Northlanders want the jobs and opportunities that would come from Northport’s transformation”. Peters added that this policy “is a cast iron commitment from New Zealand First but it needs New Zealand First to be in a pivotal position to demand it”. Not surprisingly, Peters hasn’t released any details on the costs of moving Ports of Auckland to Northport. There are three ports involved in this proposal, directly or indirectly: Ports of Auckland; Port of Tauranga, which is 220km from Auckland; and Northport, which is 144km north of the main Auckland port. Ports of Auckland (POA) listed on the NZX in October 1993. This followed the sale of 39.8 million shares, or 20 per cent of the company, by the Waikato Regional Council at $1.60 a share. This gave Ports of Auckland a total sharemarket value of $318 million, with the Auckland Regional Services Trust retaining its 80 per cent stake. In April 2005 Auckland Regional Holdings announced a takeover offer for POA at $8 a share, valuing the company at $848m. This compared with the pre-offer price of $6.44 a share and Grant Samuel’s value of between $7.69 and $8.55 a share. The $8 a share bid was successful, POA delisted and is now 100 per cent owned by Auckland Council Investments. POA has been a disappointment under 100 per cent Auckland Council ownership. In the 13 years since 2003-04, its revenue has increased by only 35 per cent, to $222.4m, and net profit after tax by 36 per cent to $60.3m. Port of Tauranga (POT) was listed in 1992 after issuing 20 million new shares at $1.05 each and the Waikato Regional Council selling all its 12.6 million shares at the same price. After the initial public offering, the company had a sharemarket value of just $80m, based on its $1.05 issue price. The Bay of Plenty Regional Council had a 55.3 per cent holding. POT, which now has a sharemarket value of $2,960m, has been one of the most successful listed companies over the past 25 years. For example, since 2003-04 POT’s revenue has increased by 69 per cent to $255.9m, compared with POA’s 35 per cent rise, and POT’s net profit after tax has swelled 148 per cent to $83.4m, compared with POA’s more modest 36 per cent profit increase. Northland Port also listed on the sharemarket in 1992, shortly after Port of Tauranga. This followed the sale of 10 million shares, representing 24.1 per cent of the company, for $1.25 a share. This gave Northland Port a sharemarket value of $52m at the $1.25 IPO price, just slightly below POT’s listing value. The Northland company provided ship handling services to the NZ Refining jetty at Marsden Point and at Port Whangarei. In 2002 the port activities at Marsden Point and Port Whangarei were transferred to Northport, a 50/50 joint venture between Northland Port and Port of Tauranga. NZX-listed Northland Port subsequently changed its name to Marsden Marine Holdings. Marsden Marine is now an investment company with a 50 per cent stake in Northport, valued at $46.1m, and investment properties valued at $66.4m. These include freehold land, a marina and a commercial complex adjacent to Northport. Its largest shareholders are Northland Regional Council, with a 53.6 per cent holding, and Ports of Auckland, with 19.9 per cent stake. 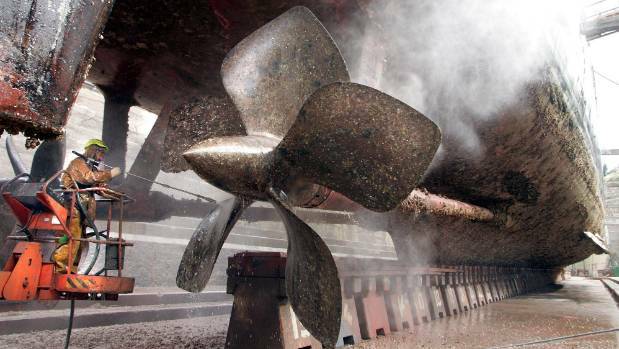 Marsden Marine has been a disappointing listed company, with a sharemarket value of only $215m. The company’s directors received $198,000 for the June 2016 year, a large figure for an investment company with few employees. Chairman Sir John Goulter, who is also chair of the hugely disappointing Metro Performance Glass, received director’s fees of $54,000 for the June 2016 year and an additional $40,000 as chairman of Northport. The opportunity to rationalise the port sector, and reduce commercial shipping activity at the Auckland port, was missed when Ports of Auckland withdrew from merger talks with Port of Tauranga in March 2007. The Mount Manganui based port was clearly disappointed and chief executive Mark Cairns had this to say: “The economic and financial modelling demonstrates that the merger would generate significant financial benefits to be shared with customers and shareholders alike. • There is a mismatch between Northport and Ports of Auckland because the former is a bulk port and the latter is predominantly a container port. Northport had export log volumes of 2,808,000 tonnes for the June 2017 year, representing 77 per cent of its total bulk exports, while Ports of Auckland container volumes were 952,331 TEU (one TEU equals one standard 20-foot container). The obvious solution to the Ports of Auckland issue is the partial privatisation of the company and a listing on the NZX. There are two main reasons for this. Port of Tauranga and Auckland International Airport have been great performers as listed companies and are paying large dividends to their council shareholders. By contrast, Ports of Auckland has been a disappointment since the Auckland Council acquired its 100 per cent holding. Under a sharemarket listing, there is a far better chance of a merger, or a joint venture agreement, between Ports of Auckland and Port of Tauranga. This is because local body politicians, who are usually opposed to these commercial agreements, would have a limited influence. An Auckland/Tauranga agreement could lead to a sharp reduction in commercial ship visits to Auckland and enable Auckland importers and exporters to switch their business to a well governed and well managed port facility at Mount Manganui. A merger between Ports of Auckland and Northport doesn’t make sense from a commercial or cost point of view. • Brian Gaynor is an executive director of Milford Asset Management. No doubt many CEOs were cheering on the opening of Auckland’s Waterview tunnel in June, but they say there is more to be done: Auckland’s congestion woes were ranked as the most impactful domestic factor for business confidence in New Zealand. The adequacy of transport infrastructure was also chief among the concerns of business leaders. Over half of Mood of the Boardroom survey respondents rated the issue an eight or above on a 10-point scale, ranging from no concern to extreme concern. An overall average concern rating of 7.4 tells the story. The third and fourth ranked factors were “growth pressures in Auckland” and “housing unaffordability” respectively – both coming in at above 7 on the scale – speaking to concerns about a city that many consider to be bulging at its seams. Craig Stobo, chair of the Local Government Funding Agency, said “the shortage of labour skills and pressures on growth city infrastructure” were constraints to further growth. “Central government needs to rethink immigration policy and to share revenues with local government to incentivise them to invest in infrastructure,” he suggested. The latter of those suggestions, in the form of a policy sharing GST on construction costs, has been proposed by Act this election, and rated highly among CEOs – 3.47/5, on average. Other leaders point out the funds for these investments requires economic growth, and New Zealand’s productivity has been flagging. This reality was reflected in a rating of 6.3 on the concern scale for the labour productivity factor. Indeed, after housing affordability Healy’s next top issue facing the nation was productivity. “Incentivise investment in R&D, develop and grow ICT sector, encourage more VC and start up capital funds,” suggested Healy. Infrastructure pressures in Auckland including housing and transport: the Government needs to step in. • The future of work has the ability to increase inequity in our society: Direct intervention from Government in partnership with the private sector is needed to equip the next generation to be resilient. We can’t leave this to the teaching profession alone. • Clean and Green. We need to lead the world on environmental issues but must address our own shortcomings. The Herald’s Mood of the Boardroom 2017 Election Survey attracted participation from 118 respondents. The results were debated this morning by shadow finance spokesman Grant Robertson and National’s Finance Minister Steven Joyce. The weight of public opinion forces bureaucrats to rethink their speed limit strategy. The speed limit around Auckland’s Waterview Tunnel is going up to 100km/h again. The NZ Transport Agency announced late this afternoon that the variable speed limits will be extended on sections of State Highway 16 and 20 around the tunnel. Since opening in July, the limit has dropped to 80km/h in the area. Authorities have said the drop in the speed limit is in keeping with international best practice. However, it has proven to be unpopular with many motorists. NZTA’s transport agency system design manager Brett Gliddon said: “We want to ensure that people’s journeys on the motorway are as safe and easy as we can make them. Speed limits inside the tunnel will remain at 80km/h to manage the higher risks associated with an enclosed tunnel environment. Gliddon said authorities had been monitoring the operational and safety performance on the state highways around the tunnel since it opened. They had also taken on customer and stakeholder feedback in the past few months. Earlier this month, thousands of people signed a petition via the Change.Org website calling on transport authorities to increase the speed limit from 80km/h to 100km/h on Auckland’s Northwestern Motorway. The petition was started by Hamilton man Bradley Scales. “Why, when you have a brand new four-lane wide motorway, would you make the speed limit 80km/h? To improve safety? That is the most ridiculous explanation I have heard,” he wrote. Police have yet to reveal the number of speed tickets they have issued since the tunnel opened. There are speed cameras inside as well as areas around it.